Digital downloads : iTunes, Spotify etc..
Hi all, our new album "Season of Raven Words" is out! It's available directly through the band via this website and also via Orcynia Records. Soon you'll be also able to get it from Firebox, Twilight Records and many others. The pre-orders of the new album are open! You can pre-order "Season of Raven Words" on our webstore, the postage is worldwide free until 6th January, which is the official release date. The first press comes as a 3 panel Digipack. We'll make our best so that all the pre-orders arrive to you on the 6th January. « Just Passing by...& Unreleased Requiems » is available now! It comes as a beautiful Digipack release. surrounded by darker and heavier parts with ethereal female voice. first recorded version of the much acclaimed first album "Bleak Silver Streams"
and offers different versions of the songs. 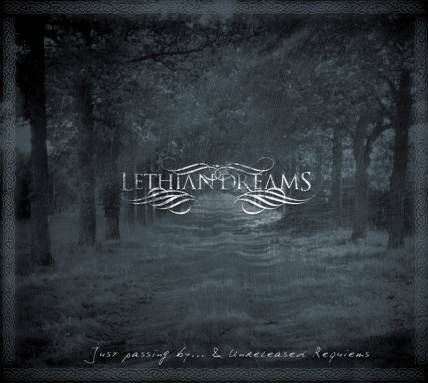 New CD available soon : "Just Passing By...& Unreleased Requiems"
We're proud to announce that the label Twilight Records (who released Aythis' third album - The New Earth) will be releasing a Lethian Dreams CD called "Just Passing By...& Unreleased Requiems". This is not a new album, but a collection of unreleased tracks. This collection features 4 new and totally unheard songs that we wrote from 2005 to 2010 and a reedition of our 2006 "Requiem for my soul" promo CD that has been remastered for this occasion. Requiem for my Soul is the first recorded version of "Bleak Silver Streams" and you can thus discover different versions of the songs. Stay tuned, you'll be able to hear new material very soon.